It’s hard to believe that February is just days away! That means Valentine’s Day is right around the corner, time to start creating! I love working with flowers & plants so I went to the florist for Valentines inspiration and once I saw (well, smelled) the Eucalyptus, ideas started flowing. 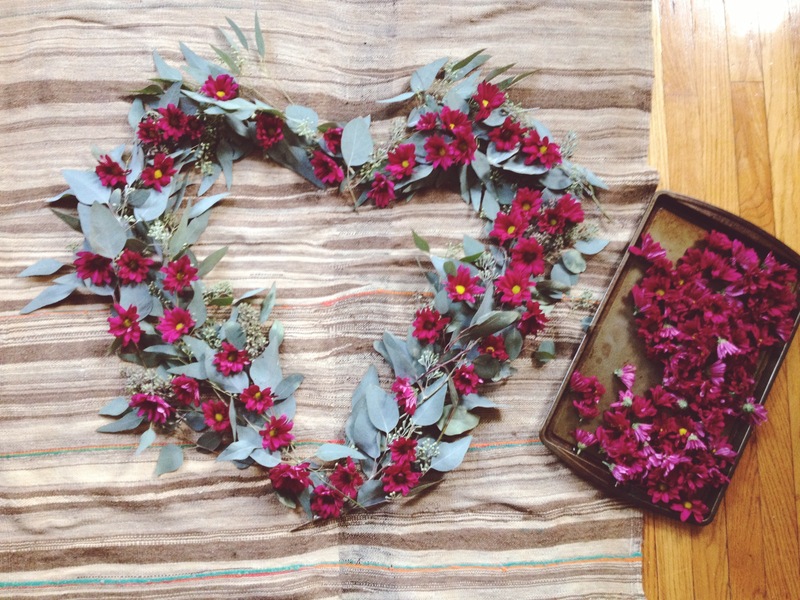 I will create a Eucalyptus love nest (or wreath)!!! Super simple to make! – 2 bouquets of Daisies. I choose maroon, but any color would work! 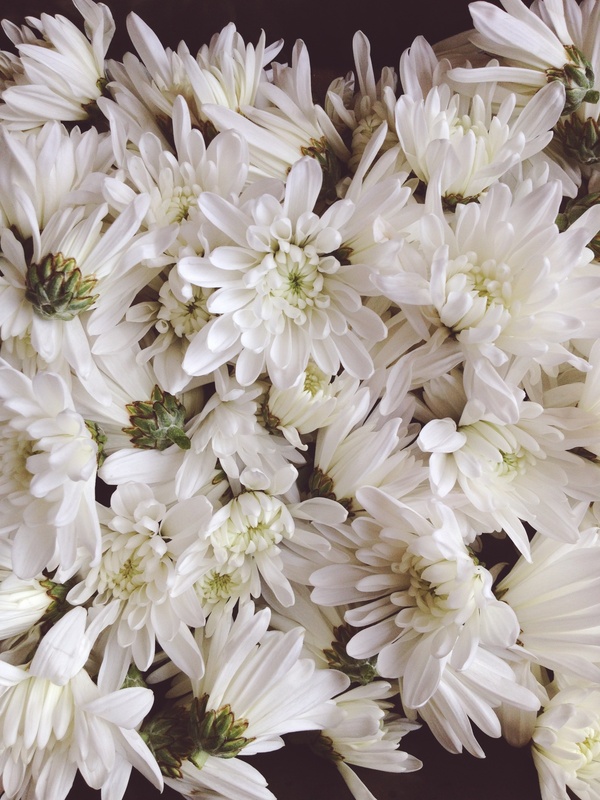 – 1 bouquet of white Mums, or any accent color! 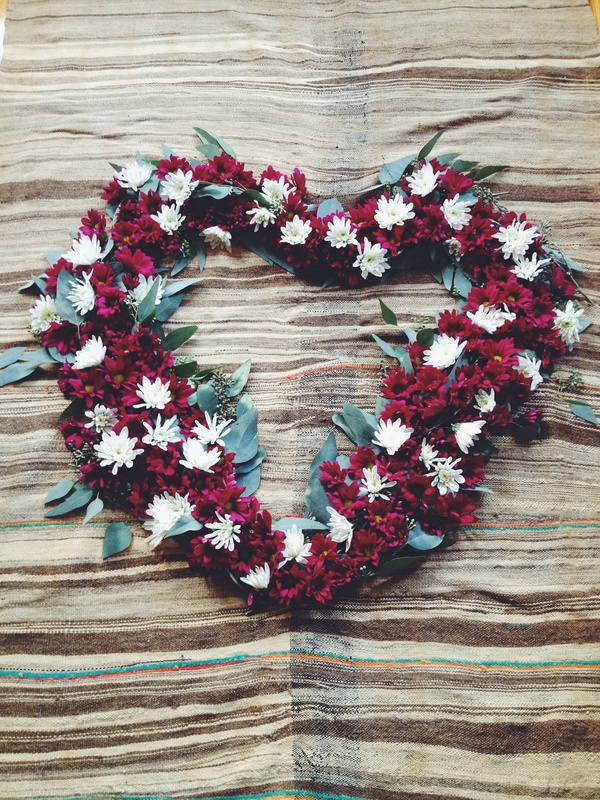 ** For a official wreath, just buy some florist foam and mold the flowers around that! 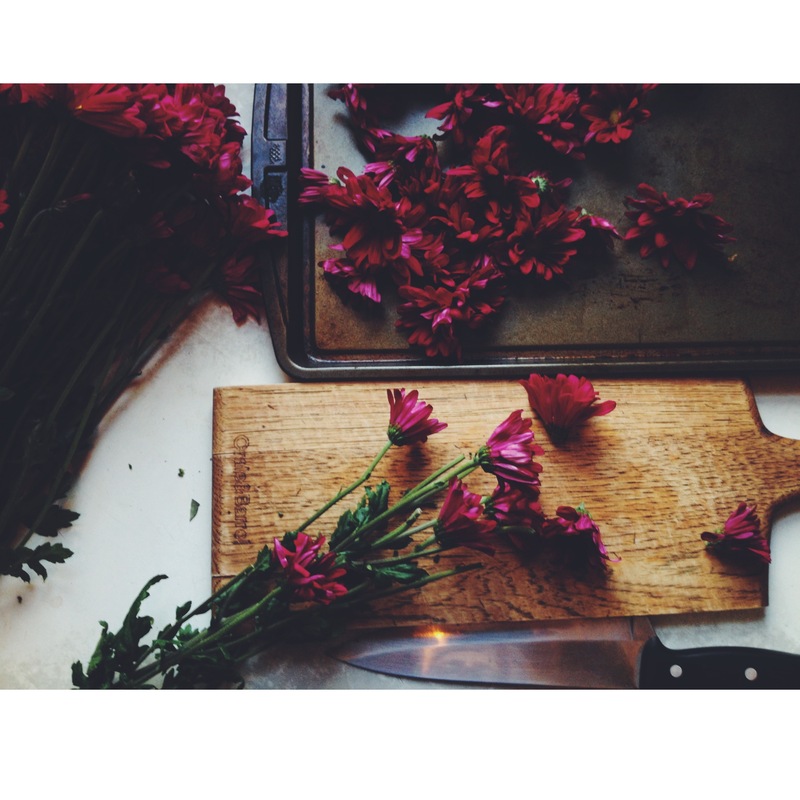 The sad part of this is that you need to chop off the flowers. Sorry beautiful flowers!!! 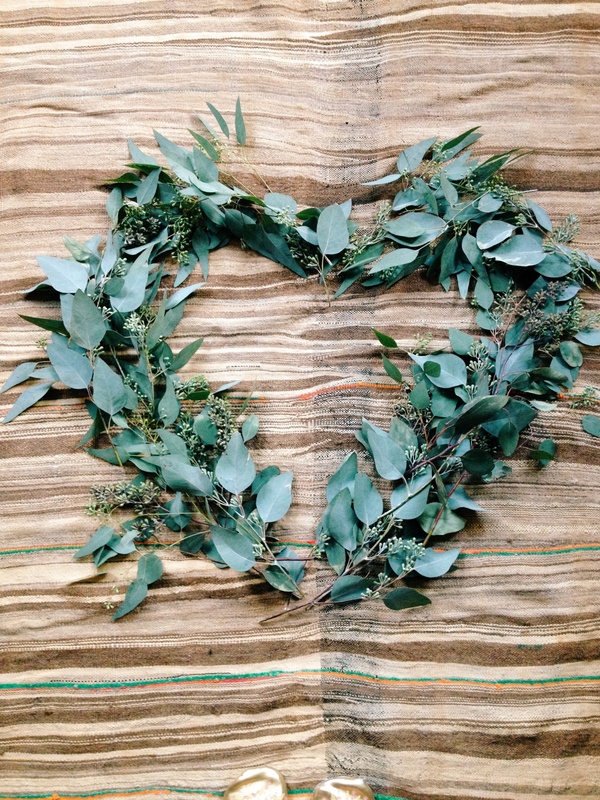 Start by forming a heart shape with the Eucalyptus. You will most likely need to trim down the Eucalyptus into smaller chunks so you can mold the curves. You can make this any size you want! You start filling in all the gaps with the Daisies. Pack it FULL, don’t be stingy. Final Product!!! How cute would this be a Valentines Picnic?! Happy Valentines Day! Hope you spend it with people you love!